Welcome to what was NC Teacher Stuff. I started this blog in 2009 as a way to share helpful literacy links. What happened after that was an amazing journey. I'm moving on to devote time to writing my own books. If you have time, take a look around. I hope you love these books as much as I did. "Amazing Anna Hibiscus is busy growing up." This last book in the Anna Hibiscus series revolves around the passing of Grandfather and Anna's reaction to it. She knows that Grandfather is very sick, but if she goes inside to see him, she will have to face it head on. Staying outside, she can try to forget and leave her cares behind. Outside is a happy place. Inside is a worrying place. When Grandfather hears that she is laughing and running around, he smiles. Unfortunately, he leaves without Anna saying goodbye. The details in the heartbreaking scene, when Anna realizes it's too late, ring so true. That's one of the many strengths of this wonderful series. What follows is how Anna deals with the grief. Sometimes, it's very difficult and feelings get hurt. But with the help of her grandmother and memories of her grandfather, she learns quite a bit about life and herself and pulls her family together. 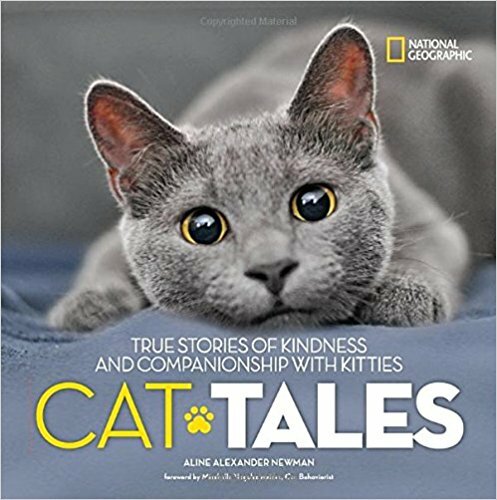 There are so many connections students will make with this book. Many have experienced the loss of a loved one. This would be a great mentor text for studying characters and how a character changes over time. It's amazing how rich and deep this book is emotionally and yet still accessible for young readers. This is my last book post at NC Teacher Stuff. I purposefully chose this book because Anna Hibiscus has been my favorite over the last 8 plus years. I can't recommend this book series enough and this last book, in my opinion, is the best one. It's been my pleasure to share Anna and all of the over one thousand books that I have blogged about with you. Best wishes and happy reading! And sick is extra-terrestrial bad when you have two throats, five ears, and three noses. three eyed dog, Mars Rover, is feeling bad too. He can't help his friend and that's very frustrating. What's a dog to do? Mars Rover decides to put on a show. He dances and juggles rings. He tosses the rings onto Little Alien's five ears. Mars Rover even puts on an asteroid belt that sends him into the sky. All of this to make his best buddy feel better. And it works! Soon Little Alien is smiling. Then a different sneeze is heard and someone else is going to need cheering up. With cold season ramping up and those donated classroom boxes of tissue disappearing quickly, this book is the perfect medicine for a room full of sniffles. Students will quickly make connections to Little Alien and his troubles. They will also be full of suggestions on how to make a best friend feel better. The wordplay would fit well with a unit on space, and you could use Aliens to teach children about problem and solution. Working on compare and contrast with a Venn diagram? Compare Little Alien with a child in your class. A spoonful of Aliens Get the Sniffles Too! is just the cure for your readers. Dad knows how to disappear. Luna wants to learn how to bring him back. Luna is super excited about library day. She has all of her things together. Mom drops her off as Dad is waiting inside reading a book. 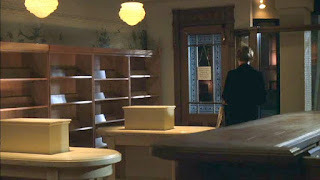 First stop is the big book area where they find a fascinating book of unexplained mysteries. Next, a book about insects, not Dad's favorite, goes into the library bag. How about a book of magic tricks? Dad is really good at magic. He can make coins come from Luna's ears. Luna also notices that Dad "knows how to disappear." Here's where you want to stop reading for a second and see if any students notice what is happening. Use the illustration to see if any young readers can infer that something deeper is going on. Finally, Luna finds a fairy tale that she and Dad can read as they settle in a big comfy chair. In the story, the Troll King and the Mermaid Queen both deeply love their daughter, but can't seem to like each other. In the end, the Troll King hugs his daughter before departing. And Luna hugs her dad before finishing library day and seeing him off. Expecting a story about loving the library, I was surprised when this became much more. Luna loves library day because she loves books and the library, but also because it's quality time with her Dad. It's a great opportunity for teachers to practice drawing conclusions from the illustrations and working on inferring. This is a sweet, upbeat story about a tough situation. Many students will be able to make a connection and it allows a teacher or counselor to address a difficult topic. Polly's new mom brought her home, wrapped her in a blanket, and cuddled her close. With a small huff, Polly fell right to sleep. Polly is a blind goat who could use a break. Only when she buries herself in the hay does she feel content. One day, a break arrives when a young lady takes her to a new place. This new mom is very kind and helps Polly learn how to maneuver throughout the house. Even better, she's bottle-fed and gets to snuggle in a blanket on the couch. Polly gets nervous when she isn't bundled so her mom has an idea. She finds an outfit that will keep Polly cozy even when she is walking around. Yeah, it's a duck outfit, but Polly doesn't care. She's never seen a duck. The two go down grocery aisles to the delight of shoppers. Soon, Polly is joined by more friends who are rescue goats. 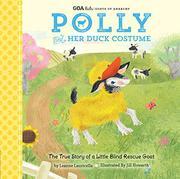 One friend, Pippa, even gets Polly's old duck outfit. They frolic in the field like two goats dressed like ducks. How can you not like that! Eventually, Polly is so busy playing with Pippa that she doesn't need the outfit any longer. They had me at Goats of Anarchy. Check them out on Instagram. 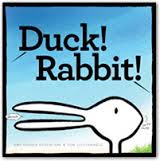 PreK-1st grade students will adore this story. You could have a good discussion with young students about what comforts them and why. 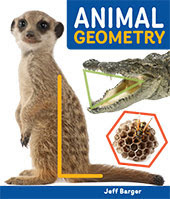 This book is also a great resource in teaching students to be kind to animals and a lesson in problem solving. Don't let someone get your goat. Get this book instead. So you have a young sports fan who is about to take a long plane or car trip. Or it may be that their baseball or softball game has been rained out and they are bummed out. Want to be the hero of the day? Here is just the thing. 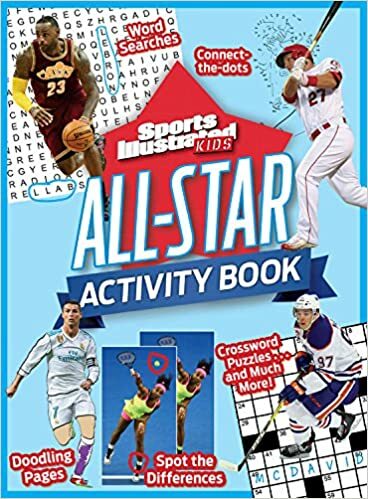 All of the major sports and more are represented in this book of activities that will entertain for hours. Each sports section begins with a set of six frames that highlight greats from the sport. After that, there are several activities that feature aspects and heroes of the game. Did Roger Federer really wear a pink tutu at Centre Court? If not, you can mark that on the Wimbledon Look-And-Find. How well do you know your football terms? Use the clues on the Gridiron Grid to fill out the crossword puzzle. There are plenty of games for students who like wordplay or who just like to draw. Create your own golf hole or retell the Miracle on Ice in your own words. This book would be a great stocking stuffer or a reward for a job well done. Grace sometimes thought Katie's pictures needed to be more organized... and Katie sometimes thought Grace's pictures needed to be more exciting. Twin sisters Grace and Katie love to draw, but they have different approaches. Grace likes "straight lines, squares, and angles." Katie is more of a "patterns, squiggles, and swirls" artist. When Grace decides to draw a map of their home, Katie offers to help, but her twin sister wants no part of it. So Katie goes on her own to draw a map of the park near their home. Grace's map has a legend and a compass rose. There are straight lines galore and everything is labeled. I love that the author and illustrator chose, in a wonderful two page spread, to show Grace's map as she drew it. It's kid friendly and would be a great mentor text for students studying maps in a geography unit. Even though it's a terrific map, Grace is not quite satisfied. It's like a dish that needs extra seasoning. Katie's map of the park is a glorious collage of shapes and colors. If you wanted to explain mixed media to an elementary audience, I would use Katie's map. Although it's full of color and energy, Katie is not entirely happy with her map either. After examining both maps, the girls decide that they do their best work together. There are many things to like about this book. The message of working together is always appreciated in an elementary classroom. As a teacher, I see a mini-lesson on comparing and contrasting with Grace and Katie as the featured text. You can pull in graphic organizers as well. As stated above, you can also go cross-curricular with lessons in art and geography. Grace and Katie are a formidable picture book team. The spaceship blasts off. It sails through whirling snow, howling winds, and scary clouds. Niko, Radar, and Tag are back with a snowy adventure. While Niko and his dog Tag dig out their spaceship, copilot robot Radar has disappeared. Could he have been captured by Niko's sister Posh, alias The Snow Monster? Only a trip to Planet Ice will reveal the answer. Sure enough, The Snow Monster is spotted on the planet and it attacks our brave duo with snowballs. If that's not enough, this audacious alien beguiles Tag with kind words and a pat on the head. Now Niko is stranded on a strange planet. Fortunately, Tag returns to his senses and his captain. And just in time as an evil bunny spy is tracking them. They follow the bunny who leads them to their now frozen copilot Radar. Is it a kind bunny or a diabolical trap? It's a trap! Nearby is The Snow Monster who is aided by an army of cold collaborators in the form of snow people with mohawks. Can our plucky crew escape and head back to Planet Home? Students love to write narratives where there are few boundaries to their imagination. But there is a structure and The Space Boy series of picture books are great mentor texts to show young writers how to frame their stories. Want to teach how to include dialogue in a story? This would be another way to showcase these books. Or they may just be the inspiration a struggling writer needs to unleash their creativity. Space Boy and the Snow Monster is a fun blast of wintry inspiration. The sand shivered. Corinne felt a tremor go straight through her body. The girls on the beach stopped mid-action. But her papa and the other fisherman in their boats were still far out on the water, their nets dragging in the sea. Corinne La Mer was having a good day swimming and battling two brothers for a prized pink seashell. But then everything goes quiet as she watches from the shore. She feels the ground shake. Suddenly, voices scream to tell everyone to get out of the water. The trio make it safely to their house, but a neighbor friend goes missing. Soon, other children are missing as well. All eyes on Corinne. Even though she had defeated an evil jumbie months earlier, she is half-jumbie and suspicions rise. Corinne knows she must go back to the sea to find the missing children. That's going to mean finding the ultra formidable Mama D'Leau who governs the sea. At what cost will it be to bargain with Mama? And what about the jumbie that Corinne thought she had conquered? Is Severine still out there and waiting for revenge? What are the odds that a young reader will like a fantasy with a determined and courageous heroine who fights to keep her and other families together? Oh, did I mention there are fascinating villains here as well as a beautiful Caribbean setting? And magic? 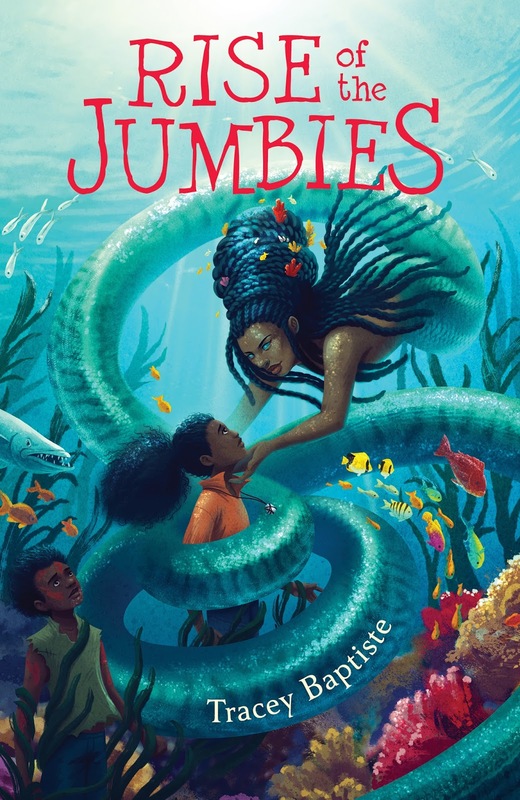 Rise of the Jumbies is a terrific read with rich characters and a gripping story. This would be an excellent choice for a unit on characters or a fantasy unit. Students will be begging you to read more if you choose it for a read aloud. Rise of the Jumbies is a jewel that readers will treasure. After over 8 years of blogging about books, I'm taking a hiatus after November 9th. I need time to make a go of my own writing career while working a full-time job. Thank you for supporting this blog and the wonderful books that I shared with you. Buck rolled his eyes, but Dad and Toni took turns seeing who could come up with another word to describe the landscape's beauty, counting each word as they went. Buck Bray is an eleven-year-old with a famous father. His dad goes around the world filming documentaries while Buck stays with his grandparents since his mother has passed away. Hoping to spend more time with Dad, Buck pitches an idea of a kid-centered nature show. The producers are very excited, so Buck and Dad are on their way to Denali National Park in Alaska. At the airport in Fairbanks, they meet Shoop the cameraman and his daughter Toni. Buck is not thrilled about hanging out with a girl, but he soon grows to respect Toni's acumen in audio production. They become partners in exploring as they prepare for Buck's first show. Sometimes the two intrepid explorers go a little too far. Hiking alongside a river, they witness a grizzly bear taking down a caribou. Buck wants to see bears, but this is a little too close. The adults they meet are much less wild, but they are suspicious of a rude passenger on their bus. He bumps them and then stays with his computer as if he is tracking something. They do enjoy spending time with park ranger Craig, who shows them an old bear's den as they begin filming. Later, Buck and Toni hear about two bear cubs missing and they have an idea who may behind it. Now they have to produce enough information to convince the adults that their hunch is a real possibility. When you combine a mystery, kid heroes, and the Alaskan wilderness, you're going to hook elementary school readers. I'm well beyond my elementary student days and I gobbled this up. It's an engaging story with interesting characters. 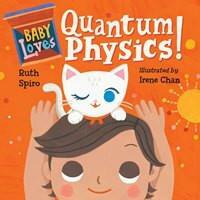 In addition, there is a lot of geographic and science information in this book. Students will learn about the landscape of wild Alaska and the behavior of many animals. Readers will enjoy exploring Buck Bray's Wild World. All you had to do was dress up like a beggar in old ragged clothes and parade down Broadway. For Rettie, dressing up was easy. She already had holes in her shoes and worn, patched clothes. Rettie lives in the tenements of New York's Lower East Side. Even though she's only nine years old, she is the oldest child in her family and carries quite a load. Her mother is bedridden with consumption and her father is fighting overseas in World War I. Rettie does all of the chores for her family of 5 and washes rags for the ragpicker to make money. This family needs every penny she can earn and Rettie pins her hopes on the annual Ragamuffin Parade on Thanksgiving where children walk down Broadway and scramble for pennies tossed from the watching crowd. As Rettie does the shopping for her family, signs of severe poverty are everywhere and also of the terrible influenza outbreak. Children are huddled in alleys as they have been left orphaned by the epidemic. People wear masks and vendors are scarce as many have been quarantined. Rettie manages to buy stale bread, cabbage, and a few mealy potatoes. Even the manager of her apartment building is stricken and ordered to stay inside. But this leads to an opportunity for Rettie to take on a cleaning job that will bring more money. Now she starts to work at four in the morning to earn enough to keep her family together. Good news comes in the form of the war ending in November 2018 and cold weather diminishing the effects of the epidemic. This means the parade will be held and Rettie can help her family even more. So what does Thanksgiving represent to you? For this young lady, it was hope and gratitude. This story provides an opportunity to have a class discussion about Thanksgiving that goes deeper than paper turkeys and pilgrim hats. Does everyone have the same Thanksgiving? It might open some eyes. It's also a terrific history lesson that highlights life from a century ago. You could compare 1918 to almost 2018. The excellent artwork really sets the mood and provides information about the era. There aren't many bright colors here which is pitch perfect. Make sure you check out the Author's Note too. Another teaching possibility would be to do a character study of Rettie. What traits does she have? 2nd and 3rd graders, who are about Rettie's age, will be amazed at what she does to keep her family afloat. Rettie and the Ragamuffin Parade is a great choice for a Thanksgiving read aloud.